I find myself riding the subways, bus and streetcars more and more now that we're in Toronto. It's so practical. 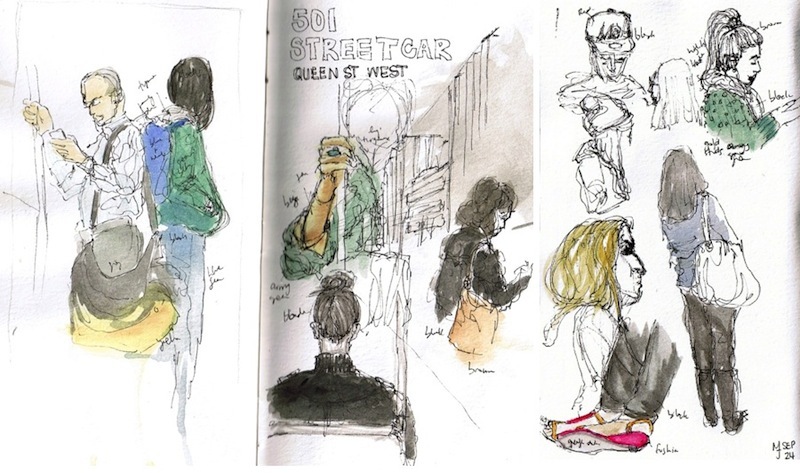 Last week, coming from another life drawing session, I spent some time drawing people in the subway. There's a guy who plays the cello in one of the stations on Sunday nights. It's the second time I see him there so I did a quick sketch of him while I was waiting. He's good. The streetcar is a new concept for me. I had never taken one before moving to Toronto. 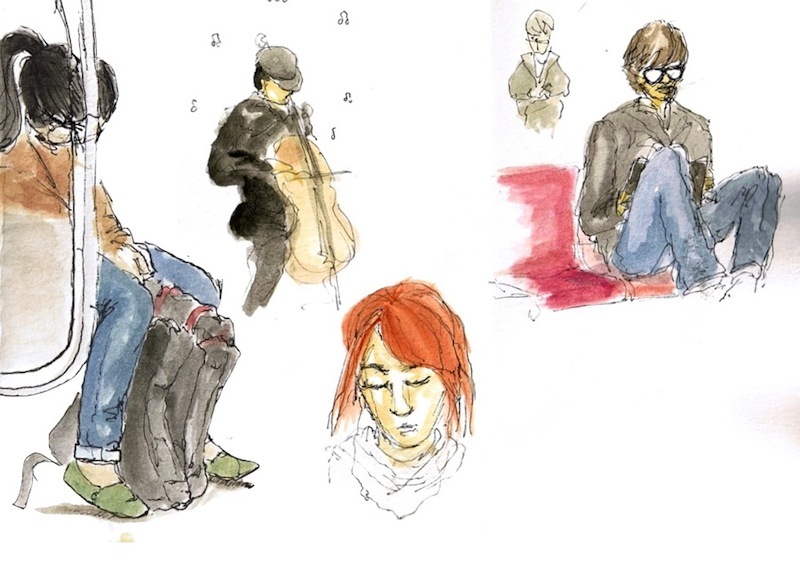 On my way back from the Art Battle, I sketched a couple people as well. I don't always get to draw the entire person but I do get interesting samples of fashion like the bright pink sandals, the large opal ring, the studded shirt, etc.